This detached, 2-storey barn conversion is located on the hillside to the rear of the owners’ friendly country pub (The Printers Arms for you ale buffs) in a quiet hamlet. The impressive kitchen and living room offer comfort and style with contemporary furnishings, plus a cosy woodburner. 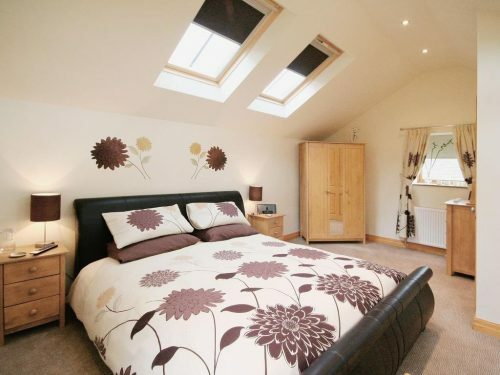 Upstairs, the galleried bedroom is beautifully decorated with a large leather sleigh bed and countryside views. Outside, the enclosed patio garden is formed of stone terraces and raised beds including a series of ponds and waterfalls. To the front of the pub is an enclosed children’s play area. 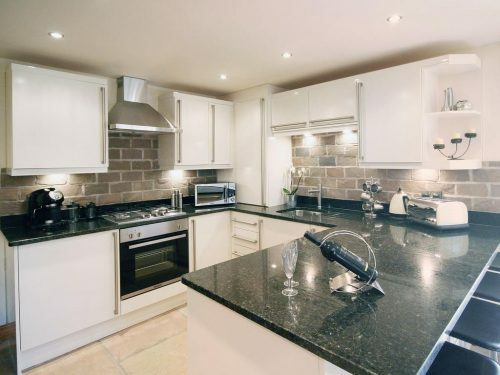 This holiday property is on the edge of the Peak District, with its rich heritage of cotton milling, weaving and printing and minutes from the Sett Valley Trail making the vibrant town of New Mills accessible on foot.